16 November 2012 / 16. studenog 2012. Well, that was a historic day. Croatian Generals Ante Gotovina and Mladen Markac cleared of all charges at the ICTY. And, because the "Joint Criminal Enterprise" (JCE) theory was quashed, Croatia itself is has effectively been cleared. I had the privilege of being in the courtroom in the ICTY for the result. I had arrived at The Hague the previously evening. It was certainly colder there than in London. I had no idea what the verdict would be. Perhaps the most realistic scenario was some lesser sentence that might see the generals released and the JCE theory disposed of. Arriving at the court in the morning, it was my impression that there were perhaps less international media around than for the original judgement, which I had also attended. Indeed, my own decision to get to The Hague came late in the day and I feared that the press gallery in the courtroom would be full, but I managed to get in. I entered the courtroom early, and it mostly filled by nine. The judges filed in, and began with by relating the background of the case. This is necessary, but one was keen to get to the verdict. We did not really have long to wait. The judges got onto the matter of the artillery attacks and the JCE. This itself was a clue; the judges had clearly taken seriously the defence appeal and focus on the artillery. Very shortly we heard the words “The Appeals Chamber unanimously holds that the Trial Chamber erred in deriving the 200 Metre Standard”. At this very early point it was clear that things were going the General’s way. It was now just a matter of how far. The judges swiftly came to the conclusion that the JCE theory could not be sustained and all the convictions for Gotovina and Markac had therefore to be reversed. This was historic – Croatia was exonerated, and the generals were in a good position. They were still not in the clear, as the judges began to discuss alternate modes of liability. Would the judges convict them on some other grounds? There came a dangerous moment when the judges said that they did not accept the defence view that they could not convict on that basis. This could have been laying the ground for conviction. Around this point I was certainly tense and wanting the judges to get to it. And they did, firstly by saying they could not convict Gotovina on those grounds. Tremendous news. Then they turned to Markac. Would he be the one found guilty of something, to save some face for the ICTY? No – he too was rightly found innocent. Lots of cheers and applause and more of the same when the judges gave the disposition ordering their release. Never thought I would be applauding the judges. After the verdict I swiftly dashed to my locker to get my tablet and quickly started tweeting. I managed to collar lawyers Luka Misetic and Tom Kuzmanovic for immediate twitter quotes, plus a video interview with Luka Misetic later. There were numerous press interviews, outside, and then everything started to move towards Zagreb – following the generals. For me, I treated myself to The Hague’s M.C Escher exhibition and then back to London. It has been a long road for the generals – they have suffered much for their country. They deserve credit for their dignified conduct throughout the proceedings, which also reflects well on Croatia. The legal teams must take huge credit. Their clear eyed and logical approach – eschewing the politics and grandstanding beloved of some Serbian accused – prevailed. Certainly there were those outside Croatia who also supported the generals. I will single out here the former adviser to Margaret Thatcher, Robin Harris. He helped raise the profile of the case and was forthright in support. That was quite brave; believing in the innocence of alleged war criminals is not necessarily a very popular thing to do. The Croatian diaspora can take pride in its support. Indeed, Croatian Americans took part in the defence – Luka Misetic and Tom Kuzmanovic. And from Canada was Ana Katalinic, the Gotovina case manager. For my part, having written on the matter since 2001, supporting the general’s case, it is certainly good to be vindicated. I am sure some of my non-Croatian friends have been bemused a bit over the years – my thanks for their patience and understanding. I should thank the many people who have expressed their appreciation for my work. In particular I’d like to thank the editors of Hrvatski Vjesnik over the years, especially Tonci Prusac and George Sabljak. The vast majority of my Gotovina articles have appeared here, providing an invaluable platform to discuss the case. Via the internet the articles went around the world keeping a number of people informed of the Gotovina/Markac/Cermak side of the case. And of course thanks to you, the readers, for doing me the honour of reading my work on the matter. Of course, I wish I were in Croatia afterwards. It was moving to see the images of mass celebration during the day. Such social cohesion is a gift Croatia must not lose. However, being in the court was a great moment for me – witnessing history being made, for Croatia and also international justice. There was nowhere I would have preferred to be, than that courtroom. Brian Gallagher is the editor of Croatia Business Report. He has written for many years on Croatia, in particular for Australia’s Hrvatski Vjesnik newspaper. 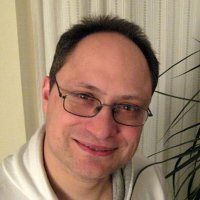 He is active within the Croatian community in London. 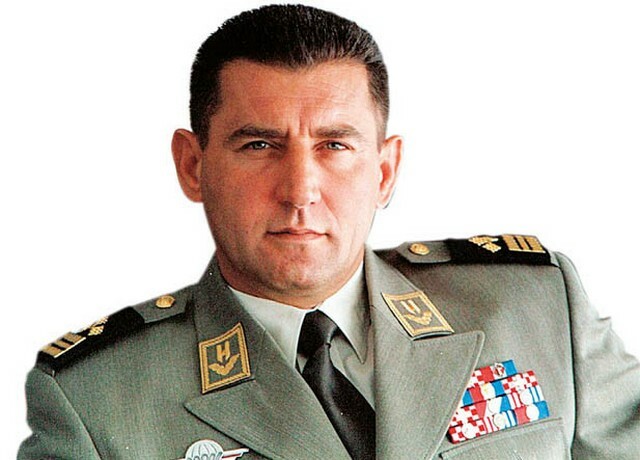 Ukrainians support their brothers in Croatia and Great General Ante Gotovina. This was indeed a great day for celebration for all Croatians both at home and abroad. We never lost faith in our generals and their innocence - and it is always good to have friends who are vocal in our defence and belivieve in righteousness. Hvala svima!